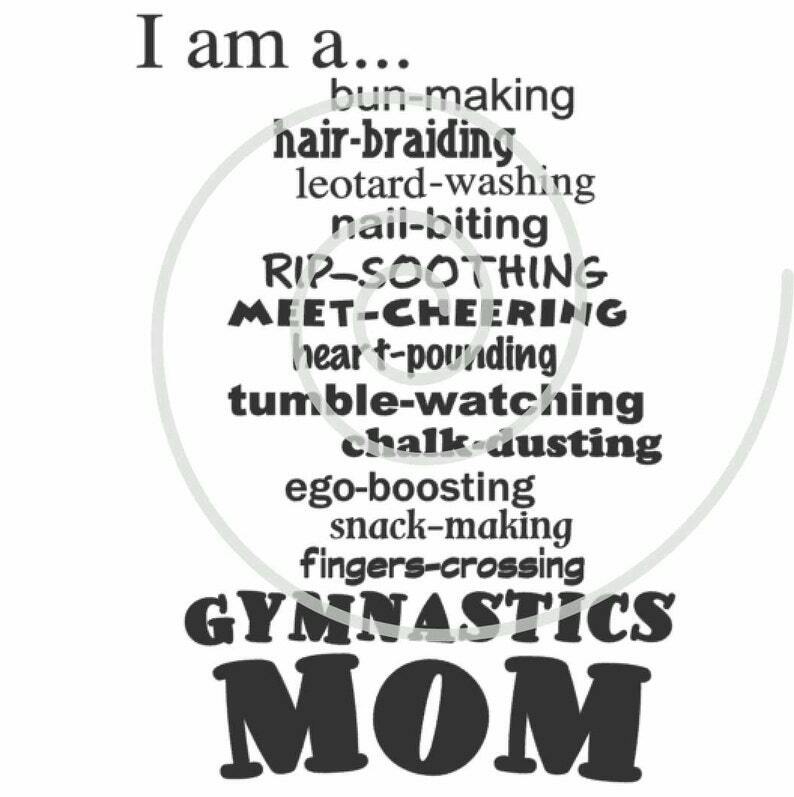 This listing is perfect for any gymnastics mom looking to make a shirt or sweatshirt for themselves to wear to a meet or even just to and from practice. It pairs up great with our other designs (you can have this one on the back and one of our others on the front). Check out our store for more designs.